The Family round cutting board: a real gem for your kitchen! The Family round cutting board is a really interesting piece, a kitchen accessory designed to be used frequently both for cooking and serving at the table but at the same time it is also a real design item. When it is not used, in fact, this cutting board can become a very valuable furnishing accessory, enriching the interior design of any room in which it is placed. The Family round cutting board is a creation of Engraved House, an emerging Italian brand that has dedicated a whole collection to cutting boards, representing a true icon of Italian cuisine. 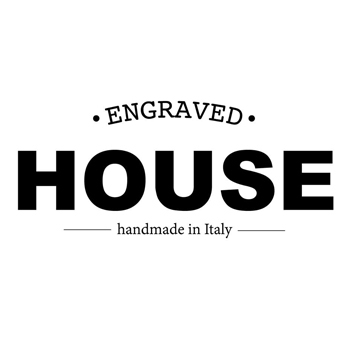 Engraved House produces rigorously in Italy, entirely by hand, and the Family round cutting board is no exception: in fact, the brand in question uses between 8 and 10 horizontal strips of highly selected wood, glued to each other. The perfectly round shape of this cutting board is very original and Engraved House creates these items with two different sides: a simple one, specially designed for cooking, and the other, more fascinating and elaborate, perfect for serving at the table. It is on the latter side that there is one of the main characteristics of this design piece: a beautiful decorative writing, masterfully performed by hand and with a colour that creates a slight contrast with the natural colouring of walnut wood, dark and rich in veining. 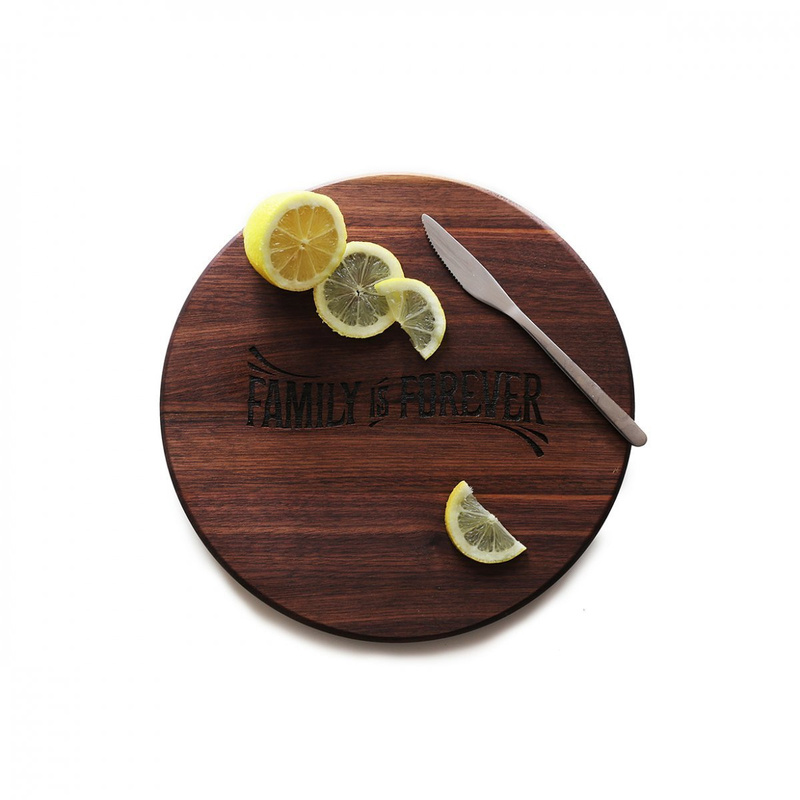 The writing that adorns this cutting board reads Family is Forever, a real hymn to family unity that can really be the perfect accessory for a kitchen, or a house in general. Thanks to its characteristic feature and unquestionable quality, the Family round cutting board can represent a perfect idea for a successful gift.